Always-optimistic coach believes free agents will buy into Knicks' plan. In his first head-coaching opportunity, David Fizdale burned out quickly. He lasted just over a season in Memphis as he pushed too hard at a veteran team. Relationships soured and it cost him his job just 19 games into a second season. But as he completed his first season in his second chance, overseeing the Knicks’ hard-to-watch 17-65 season, there was no danger of repeating those errors. There were few veterans and a season bathed in promises of player development and better days. After high intensity in Memphis, Fizdale managed few wins but did attain a calm, Zen-like demeanor that would have thrilled Phil Jackson. “I would say the challenge for me this year was always getting myself back revved up to stand in front of them and lead them,” Fizdale said after one final lopsided loss Wednesday night. “It’s a very taxing position, knowing that you’ve got to carry that weight. But it was great for me. Great learning experience. 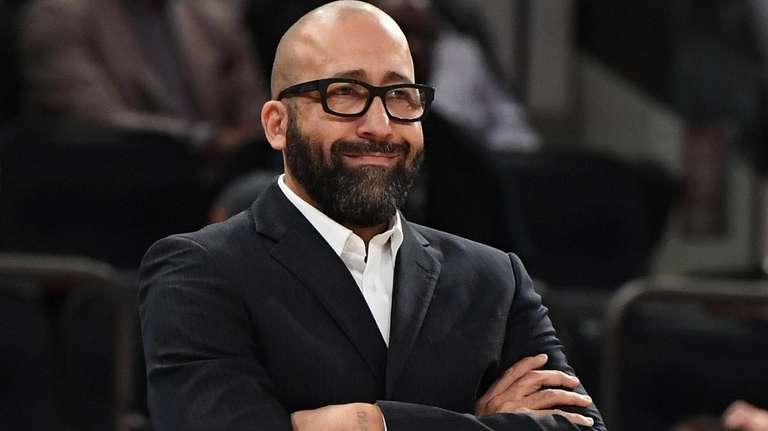 Fizdale was relentlessly optimistic throughout the season, refusing to get dragged down or to drag his young team down with the procession of one-sided losses and the constant plummet to the worst record in the NBA. At times, he seemed to simply deny the obvious. 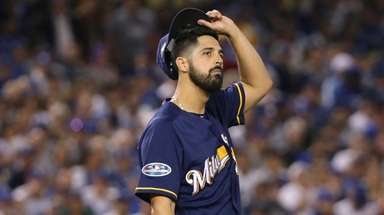 But in the end, he acknowledged the reality and the exhaustion of maintaining that smile through a season that could sour anyone — and threaten a coach’s tenure. “I would say probably the biggest thing is I can’t be so hard on myself,” he said. “I’m kind of like the young players. I really take it hard. You know you’re going into battle maybe not with all the guns that the teams you’re playing against have, but you’re still so competitive that you know, you think what if I ran this or I could have done this. I really take it home with me . . .
His résumé may tell you that he can coach a winning team, but his in-game skill set is a mystery in New York. His goals of establishing a defensive style were lost among a rotating cast of characters who struggled to fit together. The offensive system veered from the plans of a fast-paced attack. What there was little doubt about was his skill as a salesman, enthusiastically promoting the culture of the Knicks as something other than what you saw on the court. It is that skill that will come to the fore now in the summer. The Knicks are facing a massive rebuild, letting most of the roster loose with expiring contracts and intent on chasing stars in free agency. Fizdale said he will be a part of that recruiting, which certainly will test his sales skills. It’s not just telling a player such as Kevin Durant that he can make a legacy in New York — and that it won’t end up the way it did for Carmelo Anthony — but that it’s worth leaving $60 million on the table to do it. Steve Popper covers the Knicks for Newsday. He has spent nearly three decades covering the Knicks and the NBA, along with just about every sports team in the New York metropolitan area.